We first came across the Emily Ash Trust whilst our son Sebastian was having treatment at the Royal Marsden. They brightened up his and our evening one night when we went to the playroom to discover it had been transformed into a beauty room with foot spas, hair dressers and nail bar. 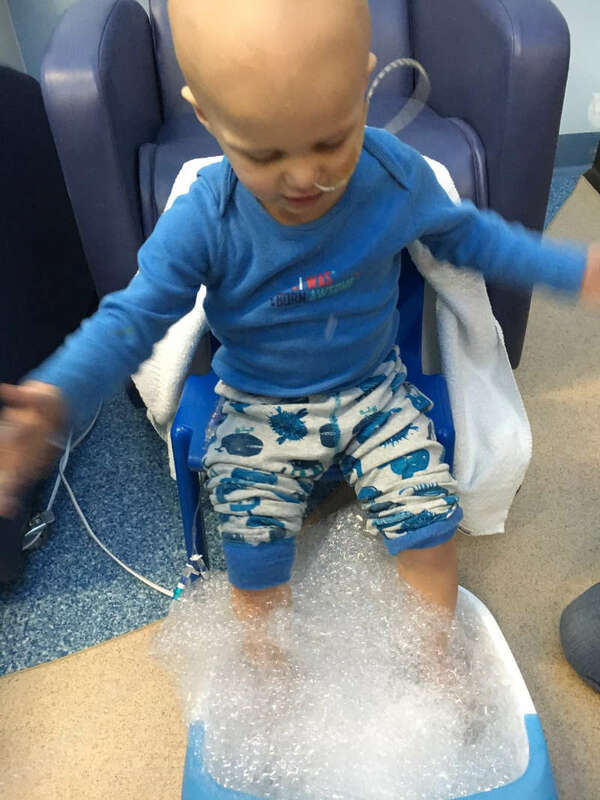 Sebastian loved having his foot spa and nails painted and it was the first time in a long time I had any me time. I had my hair cut and nails done and felt 100 times better then I had in a long long time. It’s amazing how such simple things get forgotten when your child has cancer. Everyone involved in the trust has time for you and chatted about ‘normal’ things rather then just cancer. We then later experienced the generosity and kindness of the trust when Sebastian had finished his treatment. First he received an end of treatment pack containing a voucher and wonderful teddy that he still cuddles, they then funded the most amazing experience, a holiday for us and my mum to the destination we had to leave early due to Sebastian becoming so poorly. It was very symbolic as it felt that Sebastian’s journey with cancer had been completed. We hadn’t seen Sebastian so happy in such a long time and seeing him running into the sea and splashing in the pool was a memory we will never forget. We couldn’t have possibly afforded to do this as neither myself or my partner worked during treatment. If this wasn’t enough we then got invited to a fabulous Christmas party that was extremely emotional as it was an opportunity to see many familiar faces that we hadn’t seen since Sebastian’s treatment was complete. Seeing all those children so poorly in hospital and then seeing them running around and having the opportunity to be ‘normal’ children bought tears to my eyes Thank you Emily Ash trust for believing In our children and giving them and us an opportunity to make memories and allowing our children to be children.